Serena Williams has been the victim of misogyny and racism throughout her life, but that does not make her immune from sanction when she steps out of line. Williams was fined a total of $17,000 (£13,100) for the three code violations she was issued in the US Open final she lost to Naomi Osaka – a tiny fraction of her winnings, admittedly, but a significant fine nonetheless in the context of the sport. The accusation of sexism she levelled at umpire Carlos Ramos for docking her a game for verbal abuse – she had called him a “liar” and a “thief” – ensured the story would command headlines for days. The stakes then became even higher when two of the most senior administrators in the sport endorsed Williams’ comments and laid the blame squarely at the umpire’s door. The chief executive of the Women’s Tennis Association, Steve Simon, issued a statement to say he did not feel Ramos was as tolerant to Williams as he would have been to a man. Earlier in the day, the US Tennis Association president Katrina Adams also accused Ramos, and other umpires, of gender bias in a television interview. “We watch the guys do this all the time,” she said on the ESPN set at Flushing Meadows. These comments are made without a moment’s thought for all the umpires who are in the chair this week in Chicago, Quebec City and Hiroshima, and in the weeks and months to come. Their authority is instantly undermined. Vested interest is rife in tennis. Conflicts of interest abound. Adams has a relationship to protect with Williams. 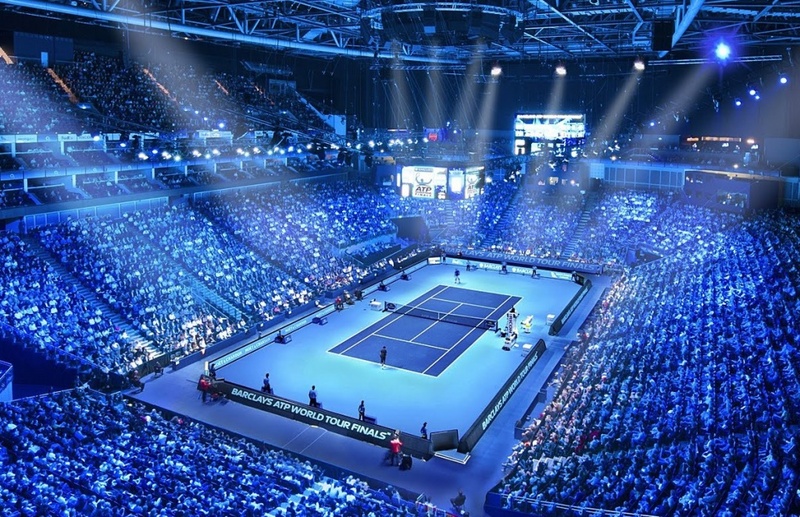 Simon is looking out – in purely business terms – for the WTA’s biggest commercial asset. He did the same for Maria Sharapova at the time of her positive drugs test. First he offered a glowing character reference before due process had even taken place, and then publicly reprimanded the French Tennis Federation for not offering the Russian a Roland Garros wildcard just after her ban had expired. There are too many voices, too many governing bodies. 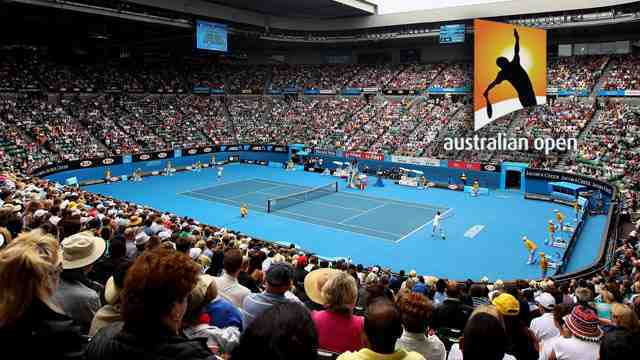 The four Grand Slams are the pillars of the sport and they compete for influence along with rule-making body the International Tennis Federation, the WTA, which runs the women’s tour, and the Association of Tennis Professionals (ATP), which runs the men’s. Reform would be welcome, but do not hold your breath. Ramos is an umpire with a reputation for standing up to star players, which is partly why he has been asked to take charge of singles finals at all of the Grand Slams, as well as the Olympic Games. He would have faced criticism had he not taken action against Williams for calling him a liar and a thief. There is too much sexism in tennis. But that should not be used as a smokescreen to excuse the behaviour of the 23-time Grand Slam champion. Do umpires show more leniency to men? 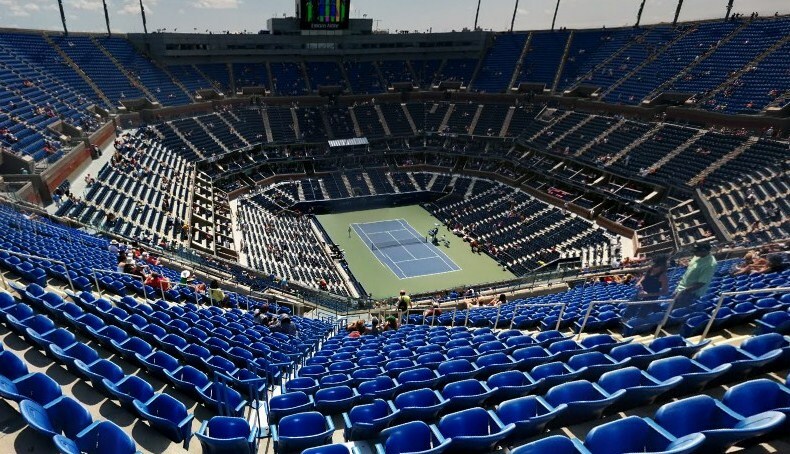 There is no strong evidence from this US Open, and the Italian Fabio Fognini was fined $96,000 and given a suspended Grand Slam ban for verbal abuse at last year’s event. His offence was far worse, and his language to umpire Louise Engzell unquestionably misogynistic, but at least strong action was taken. ATP players should think carefully about whether they address female umpires differently to their male counterparts. And if WTA players do feel strongly that umpires treat them more harshly then men, then this needs to be investigated. 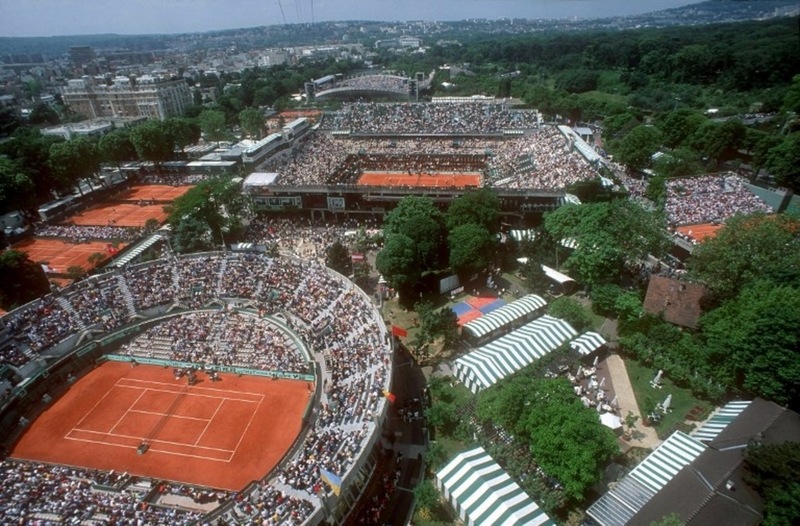 The WTA Tour has been fighting discrimination since its inception. Vast progress has been made, and yet there are too many areas where women seem to come off worst. 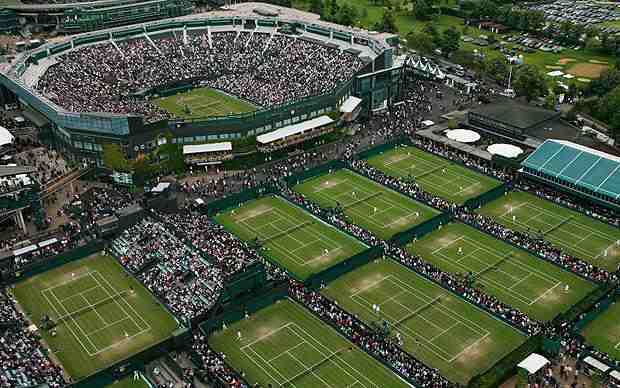 It is only 11 years since the All England Club offered equal prize money, and there are often locker room complaints about the scheduling at Wimbledon. And here at the US Open, winner Coco Vandeweghe was unhappy the women’s doubles presentation was cut short to allow the men’s singles final to start on time. There was also widespread unhappiness at the warning Alize Cornet received for changing her top on court after realising she had put it on back to front. Then there is the issue of mid-match coaching, which takes us back to where this story began. On-court coaching is allowed at certain times on the WTA Tour, but secret signals from the players’ box are never permissible. Coaches do it all the time, but it is impossible for umpires to police consistently. Bring tennis into the 21st century by allowing coaching on every point, says Billie Jean King (and many others). Tennis is a sport for individuals, who must problem solve themselves, retort traditionalists. Once again, tennis is torn. Novak Djokovic completed a stunning two-month run on Sunday evening at the USTA Billie Jean King National Tennis Center, where he defeated Juan Martin del Potro to lift his third US Open title and earn his 14th Grand Slam trophy, tying American legend Pete Sampras for third all time. It’s not that long ago that he had lost three matches in a row, doing so for the first time since 2007. That didn’t stop the former World No. 1, though, as Djokovic returned to form by winning Wimbledon, completing the Career Golden Masters by coming out victorious in Cincinnati, and finally, shining bright in ‘The Big Apple’. 7:38 pm – Djokovic strikes an overhead winner to clinch his title, dropping to the court in celebration. 8:20 pm – Djokovic is still taking pictures and greeting some of his friends, family and supporters after the trophy ceremony, a mere 20 steps or so from the entrance to the court, right where ESPN does all of its pre-match interviews with the players. The Serbian hugs friends and family, with a simple adjective to describe the scene: ecstatic. “This is going to be yours in 10 to 15 years’ time,” Djokovic says to a friend’s son. After the triumphant roar, Djokovic heads into locker room to celebrate with his team. Eventually he does the television rounds, before meeting the general press at nearly 9:30 pm. “Life showed me that it takes time for good things, it takes time to really build them, for things to fall into place, so you can centre yourself, balance yourself and thrive. The last two months have been terrific,” Djokovic says. 8:03 am – A large black SUV pulls to a stop on West 48th Street in Manhattan, next to Rockefeller Plaza. Djokovic emerges from the car just more than 12 hours after completing his victory over Del Potro. Sporting a green raincoat and beige pants, the newly minted World No. 3 — up from No. 21 just two months ago — is in a happy mood, as you’d expect, greeting everyone. He says ‘Good Morning’ twice to the group awaiting him. Producers from the TODAY show are all around, with one asking if Djokovic needs any touch-ups, but there is no need. Djokovic walks into the green room where women’s singles champion Naomi Osaka’s mother is sitting, with Osaka’s agent, Stuart Duguid, right next to her. The Serbian enjoys watching her interview on a television in the room while he has a free moment. “I’ve never been on a talk show before,” Osaka tells the hosts. Djokovic has. And while he had not triumphed in Flushing Meadows since 2015, this is not new for Djokovic. Instead, it feels as if he is back where he belongs. 8:10 am – The 71-time tour-level champion gets mic’d up by one of the show’s sound technicians, preparing to enter the TODAY show’s ‘Orange Room’, where Osaka is at the time. 8:11 am – Novak grabs the trophy from USTA Communications manager Eric Schuster and walks into the studio, officially starting his media tour. 8:16 am – TODAY’s Al Roker gives viewers the weather, his last duty on the show before joining Djokovic. 8:17 am – Novak comes out of the studio and poses for a picture with friend Gordon Uehling’s daughter, Zia Uehling. “I was expecting it to be kind of heavy,” she says as Djokovic lets her hold the trophy. “It fits you well,” he replies. Osaka walks out of the studio herself and Djokovic congratulates her, then suggests they pose for some photos. 8:18 am – Djokovic and Osaka return to the studio to take photos, enjoying their moment together. 8:19 am – Djokovic is done at the studio, but not with the show. Roker walks him down a spiral staircase that leads toward the 47th-50th Streets — Rockefeller Center subway station. Surrounded by four US Open security guards, an array of show employees and his own team, Djokovic speaks to Roker as they walk through the corridors about the show, the different sets they use, so on and so forth. 8:21 am – Djokovic and Roker walk by a number of small tables on their right, where New Yorkers enjoy their morning coffee and breakfast with friends or coworkers. For the most part, nobody pays them much attention. The group appears just like the typical swarm rushing through the hall during rush hour in New York City. But one table of three women simultaneously stops what they are doing, following the crowd of people with their eyes, their heads swiveling. One woman in particular stops sipping her coffee, her jaw dropping to the floor. It’s safe to say she recognises Djokovic, Roker, or both. The group walks by a number of storefronts on the way to the train station itself. As Djokovic walks by a ‘Juice Press’, he gives a small fist pump. He opened a vegan restaurant named Eqvita where he resides — in Monte-Carlo — about two years ago. 8:24 am – Roker gets mic’d up as producers frantically try to arrange cameras in preparation for a live segment with Djokovic and Roker, just 10 to 20 feet from the subway turnstiles. Commuters passing by slowly begin to do double-takes as they realise that the group is not just a bunch of commuters. And while not everyone realises that Djokovic is there in plain sight, some people take out their phones to document the moment. 8:27 am – As Djokovic is prepared by members of the crew, he is handed a platter of donuts, The champion maintains a gluten-free diet, but he has fun with the moment anyway, The stage manager has a production assistant call back to the control room to turn his ‘listen’ up, as it becomes clear the segment is not too far away. During the rush of a Monday morning commute, the area becomes significantly more crowded. Djokovic does a quick dance for the crowd as everyone gets set to go live. “It’s a great country! Only in New York!” Roker proclaims, laughing. The weatherman introduces Djokovic as the US Open champion… ‘The Donut Server’, Djokovic jokes. “You’re known for a different kind of serve,” Roker says, as the pair begins to discuss his victory at Flushing Meadows. “Realistically, three months ago I was pretty far [from my top level],” Djokovic says. 8:34 am – “Here’s what’s happening in your neck of the woods,” says Roker, delivering his trademark closing line to sign off from the interview. The production crew quickly helps Djokovic remove his microphone so the Serbian can get on his way. He takes a minute or so to take some photographs with the fans, enjoying his time in the subway station. 8:36 am – The crowd claps as Djokovic walks up the stairs and up towards the street. The group is ready for the next stop on its tour. 8:39 am – A gentleman walks down the sidewalk and is stunned to see that Djokovic, the US Open champion, is right in front of him, quickly congratulating the Serbian. He fumbles his phone as he asks to take a selfie. “Let me help you,” Djokovic says, more than happy to please a fan. 8:56 am – The road narrows on West 67th street as dozens of children are on the left side of the street, roped off, gathered for a segment on LIVE with Kelly and Ryan, the next stop on the trip. Djokovic gets out of the car and heads past the crowd, widely unnoticed as he walks towards the studio. Once physically in the building, there stands a regulation-sized basketball hoop on the left. He jumps to touch the rim twice. It’s only fitting considering Golden State Warriors head coach Steve Kerr said just a week ago that if he could choose any player to join his championship-winning team, he’d take the Serbian. And it turns out he can dunk, too! It’s safe to say Djokovic is faring plenty well on the tennis court as it is. In front of the group is a large studio door the colour of Roland Garros’ terre battue, with a small sign displaying the show’s name. But instead, everyone walks down a hallway to the right, where there is a green room, on the right side of that narrow path. Djokovic and select members of his team continue on 10 steps or so before standing in an open space to the right, where he’s held until his segment. 9:00 am – Novak notes the time. Some of Djokovic’s team retreats to the green room to get ready to watch his segment from there. 9:11 am – Guinness World Records adjudicator and spokesperson Michael Empric appears on a television in the green room leading the children that are outside in a simultaneous one-minute floss as they set a world record for most people doing the dance for that long at once. 9:18 am – Djokovic gives high fives to people in the audience on the way out to the desk to meet Kelly Ripa and Ryan Seacrest as confetti sprouts into the air behind him. 9:19 am – Kelly says that it’s “becoming like a tradition” that Djokovic is on the show. It’s another instance showing that, in a way, Djokovic is back on top. He’s no stranger to triumphs. And while he began his 2018 campaign 6-6, this is what is truly normal for him. The Serbian reflects on his victory on Sunday against Del Potro, remembering the sounds he took in and the “uniqueness of the night sessions in Arthur Ashe Stadium”. 9:21 am – The producers pull up a picture of Djokovic during his quarter-final match against John Millman, when he took his shirt off as the Australian left the court to change his clothes. “I have to hit the gym,” Djokovic jokes. He hugs Ripa, gives Seacrest a warm handshake and it’s back out into the rain. But before jumping in another US Open SUV, Djokovic pauses, and hands off his water bottle to agent Edoardo Artaldi. Djokovic sees a small group of kids who had been on television dancing and decides to walk over and invite them to dance some more. One day ago, Djokovic won the US Open. But that hasn’t changed his personality in any way. The Serbian takes pride in being a father of two, and his Novak Djokovic Foundation focuses on early-childhood development and education. After a few minutes of dancing and pictures with the kids, Djokovic gets back in a car to head to the third and final stop of the tour. 9:43 am – The group pulls into the American Museum of Natural History’s garage, out of the reach of the raindrops. Roberto Lebron, a communications representative for the museum, greets the group and leads everyone inside. The museum is not open to the public until 10:00 am, but Djokovic and company get an early sneak peak. It’s not his first time there, though, as he took his son, Stefan, there last week. Djokovic tells Zia Uehling that there are exhibits about oceans, dinosaurs and more. But he pauses for a couple of minutes before everyone moves on again. 9:50 am – The group splits into two elevators to head up to the fourth floor, where a short walk takes everyone to the Hall of Saurischian Dinosaurs in the David H. Koch Dinosaur Wing, which someone says is the “most visited” wing at the museum. Djokovic poses for a number of pictures in front of a fossil of a Tyrannosaurus Rex as museum employees chat with him about what all that is around him. 9:55 am – After a second set of pictures, a photographer asks Djokovic if he can hug his trophy. “Let’s see the crocodiles,” Djokovic says. The Serbian is sponsored by Lacoste. 9:58 am – Djokovic does a quick interview with ATP World Tour Uncovered in front of the Tyrannosaurus Rex. He says that the Hall of Saurischian Dinosaurs is his son’s “absolute favourite”, and in reflecting on his highs and lows in 2018, adds that, “the whole journey was very special. 10:05 am – Djokovic poses with an alligator, and then a crocodile, enjoying every second. Someone in the crowd jokes that the crocodile (which, of course, is not the real thing) might want to take a bite of the US Open trophy. 10:15 am – Djokovic speaks to a tour guide who details all of the different fossils they are walking by, and the Serbian is visibly interested in all of the history. The final stop on the tour is a cast of a 122-foot long Titanosaurus, whose head sticks out of its exhibit. “A plant-eater… my kind of guy!” Djokovic says. As the day’s activities wrap up, Djokovic steps out of the Titanosaurus exhibit and into a cafe right around the bend to stand by a counter just inside the entrance. As the photographers and staff await two elevators just feet away, Djokovic’s son, Stefan, arrives. Right as the media tour ends, it’s back to family life for the 31-year-old. Stefan climbs into his father’s arms. And it’s fitting — the media fun, the trophy, the record $3.8 million in prize money and the thrill of victory are all nice, but it’s clear that Djokovic values one thing above all else: family. That is who this triumph was truly for. Novak Djokovic fell to the ground on Sunday at the US Open in celebration of 14th Grand Slam championship crown, which tied him in third place with his idol, Pete Sampras, in the all-time major list. Incredibly, since Roger Federer’s first Wimbledon title in 2003, Federer (20), Rafael Nadal (17) and Djokovic (14) have won 51 of the past 62 Grand Slam championships, while six different players (Andy Murray – 3, Stan Wawrinka – 3, Marin Cilic, Juan Martin del Potro, Gaston Gaudio, Andy Roddick and Marat Safin) have won the other 11 majors. By lifting the Wimbledon and US Open trophies in the same season, for the third time in his career – adding to his 2011 and 2015 vintages – Djokovic continued his remarkable run of form that has seen him win 22 of his past 23 matches. The Serbian, who became the first singles player to complete the Career Golden Masters at the Western & Southern Open in Cincinnati, added another US Open crown to his resume with victory over Del Potro on Sunday evening. It was the 50th ‘Big Title’ – Grand Slam (14), Nitto ATP Finals (5) and ATP World Tour Masters 1000 (31) crown – of his career (71 titles overall). The victory drew him level with Nadal, who earned his 33rd Masters 1000 trophy at the Rogers Cup (d. Tsitsipas) last month and has won 50 ‘Big Titles’ among his haul of 80. Federer has won 53 ‘Big Titles’ of his 98. Djokovic has won 50 ‘Big Titles’ from 169 opportunities, a conversion rate of 3.4. Nadal has a strike-rate of 3.5 from 174 tournaments, while 37-year-old Federer has won a ‘Big Title’ every 4.1 chances (53/219). * Becker’s four other Grand Slam titles came before 1990. ** Edberg’s three other Grand Slam titles came before 1990. Be bold enough to walk into the lion’s den. Novak Djokovic defeated Juan Martin del Potro 6-3, 7-6(4), 6-3 in the final of the US Open Sunday by attacking – not avoiding – the Argentine’s fearsome forehand. Djokovic won 111 points for the match, with almost half of them (53) coming from a Del Potro forehand error. Del Potro did hit 16 forehand winners, but the net result of -37 was what the Serbian was constantly mining. This kind of tactic is actually predicated on Del Potro hitting just enough forehand winners that he keeps swinging for his trademark knock-out blows. But Djokovic was playing a numbers game, constantly moving Del Potro side to side to the edges of the court to apply enough pressure with time and court position to extract a steady stream of forehand errors. Absorb the punches. Trust the percentages. Del Potro ran 3525 metres for the match (Djokovic 3679m), for an average on 21.1 metres per point. A lot of that was being initially moved to the Ad court to spar backhand to backhand, and then be pulled wide in the Deuce court to hit a tricky forehand on the run. Djokovic did hit 13 forehand winners of his own, while yielding only 21 forehand errors in the process. The average rally length per point for the match was a bruising 6.2 shots, with Djokovic winning 49.6 per cent (66/133) of his baseline points, and Del Potro winning 41.8 per cent (64/153). Djokovic’s game is evolving once again, with the typical label of “aggressive baseliner” no longer doing justice to his superb “all-court” game. Djokovic came to the net a substantial 37 times (Del Potro 17) in the final, winning 28 (75.6%) of those points. The Serbian was constantly looking to use depth as his primary weapon to elicit a short ball, and then use direction, spin and power to the Del Potro’s backhand to force a difficult passing shot. Djokovic came at Del Potro so many different ways. Djokovic hit 13 forehand winners, three backhand winners, seven volley winners, seven overhead winners, two approach winners and two drop shot winners. It was the Swiss Army knife of strategies. Djokovic’s game is stunningly complete in every which way you can imagine. He even served and volleyed twice in the final to provide a different look, winning one of those points. Another layer of confusion of what was coming next centred on Djokovic’s first serve location. In the Deuce court he served 20 times out wide and 19 down the T. In the Ad court, he served wide 13 times, 12 at the body, and seven down the T.
There was simply no chance Del Potro was going to win the guessing game of serve location. The Argentine really struggled to find free points, only collecting six aces, with Djokovic missing just 18 of 88 returns for the match. The Serbian was especially rock solid returning in the Ad court, making 13 of 14 forehand returns and 19 of 21 backhand returns. If there was a winning percentage to be mined anywhere on the court, that’s exactly where you would find the Super Serbian. In many ways, this match was not about Djokovic at all. It was more far more important for him to hit the ball where Del Potro didn’t want it rather than trying to win with his own favourite patterns. The US Open final umpire whom Serena Williams called “a thief” has been defended by tennis’ governing body. She later said it was “sexist” to have been penalised a game. The International Tennis Federation said Carlos Ramos acted “at all times with professionalism and integrity”. An ITF statement said: “It is understandable that this high-profile and regrettable incident should provoke debate. At the same time, it is important to remember that Mr Ramos undertook his duties as an official according to the relevant rule book. However, Williams’ claims have been backed by the governing body of women’s tennis, the WTA. Chief executive Steve Simon said: “The WTA believes that there should be no difference in the standards of tolerance provided to the emotions expressed by men versus women. Osaka, 20, won Saturday’s match 6-2 6-4 to become the first Japanese Grand Slam champion. New US Open champion Naomi Osaka can become Japan’s first world number one, says Japanese former Grand Slam semi-finalist Kimiko Date. The 20-year-old’s straight-sets win on Saturday was overshadowed by Serena Williams’ outbursts at the umpire. But Date said Osaka’s triumph in her first Grand Slam final was “amazing”. “If she continues to develop the way she has over the past two weeks, she can go on to be Japan’s first world number one,” added Date. Osaka – who was born in Japan and raised in America – has climbed to a career-best seventh in the world rankings after her win in New York. Date, a Wimbledon semi-finalist in 1996, expects Osaka to emulate the achievements of China’s two-time Grand Slam winner Li Na. Former word number four Date said: “Osaka is taking on the power tennis of the women’s game with power of her own – an Asian player, a Japanese player. “Until now only Li Na [of Asian players] had the physique to be able to tackle that kind of power. Williams was given a code violation for coaching, a penalty point for racquet abuse and finally a game penalty for calling the umpire a “thief” and “a liar” . Osaka remained composed throughout Williams’ repeated on-court protests as she ended the 36-year-old’s bid for a record-equalling 24th Grand Slam title. But she became overwhelmed by emotion during the trophy presentation as boos – seemingly aimed at the umpire’s decision to penalise Williams – rang down from the stands, prompting Williams to ask for the crowd to “give credit” to Osaka. “I’m sorry it had to end like this,” a crying Osaka said as after she’d been presented with her trophy. Williams was a childhood idol of Osaka’s and the new US Open champion even wrote a school report on her. “It’s a little bit crazy,” said Osaka. Osaka admitted she thought she was going to be sick before her maiden Grand Slam final and was thankful for the advice of sister Mari, who is also a tennis player. “I woke up and I was sweating. I was so nervous, my heart was racing the entire day. I think that wasn’t good for my health,” she said. What was the reaction in Japan? Osaka’s profile has soared in Japan, with Prime Minister Shinzo Abe tweeting his pride on behalf of the nation. She is the latest dual heritage athlete to rise to prominence, along with sprinter Asuka Cambridge, baseball player Yu Darvish and judo star Mashu Baker. Abe thanked her for “giving Japan a boost of inspiration at this time of hardship” – an apparent reference to last week’s deadly Typhoon Jedi and the Hokkaido earthquake that killed dozens of people. Osaka is scheduled to head straight from New York to Japan to play in the Pan Pacific Open, which begins on 17 September, a tournament now billed as a “homecoming” for the new US Open champion. The Yomiuri newspaper said Osaka was a “new heroine” while Japanese men’s tennis player Kei Nishikori posted his support for his compatriot in a number of tweets. Mike Bryan and Jack Sock concluded the third quarter of the 2018 ATP World Tour season in familiar fashion, replicating their end to the previous quarter with a Grand Slam title. Having lifted their maiden Grand Slam doubles title as a team at Wimbledon, Mike Bryan, due to the continued absence of injured brother Bob Bryan, and Jack Sock continued their partnership to great effect. The American duo scored their second Grand Slam title as a team, a record-breaking 18th men’s doubles crown for Mike Bryan, cruising past seventh seeds Lukasz Kubot and Marcelo Melo 6-3, 6-1 on Arthur Ashe Stadium. Bryan and Sock won just one of three matches in their two tour-level events post-Wimbledon, but once again produced their best tennis in Grand Slam play to lift their second straight major trophy. Kubot and Melo also entered Flushing Meadows in poor form, having won only one match in four tour-level events after a second-round exit at Wimbledon. But the Polish-Brazilian duo worked their way into form in New York, winning three of five matches in deciding sets before falling to Bryan and Sock in their second Grand Slam final as a team. Jamie Murray and Bruno Soares enjoyed success in America, winning two titles at the Citi Open and the Western & Southern Open. The British-Brazilian pairing, who compiled an 11-2 record in the third quarter of the season, reached the quarter-finals in New York before a straight-sets loss to Radu Albot and Malek Jaziri. Juan Sebastian Cabal and Robert Farah, who lost to Murray and Soares in the Cincinnati final, also backed up a strong week in Ohio by reaching the semi-finals in Flushing Meadows. The Colombians lost a tight three-set semi-final to Bryan and Sock. Despite a second-round loss at the USTA Billie Jean King National Tennis Centre, Henri Kontinen and John Peers can be pleased with their efforts in North America. The reigning Nitto ATP Finals titlists lifted their first ATP World Tour Masters 1000 trophy of the season at the Rogers Cup, beating in-form partnership Raven Klaasen and Michael Venus in the championship match. Julio Peralta and Horacio Zeballos also impressed, winning back-to-back clay-court titles in Bastad and Hamburg. The South American duo survived four Match Tie-breaks in as many matches to lift the trophy in Hamburg, denying Oliver Marach and Mate Pavic a fifth title of the season. Marach and Pavic, who remain atop the ATP Doubles Race To London standings, also reached the Rogers Cup semi-finals in Toronto. Del Potro rose two spots to third place in the ATP Race To London by beating the likes of John Isner and Rafael Nadal, prior to the final against Novak Djokovic. Del Potro has a 43-11 record on the season, which includes two titles at the Abierto Mexicano Telcel presentado por HSBC (d. Anderson) and his first at ATP World Tour Masters 1000-level at the BNP Paribas Open (d. Federer). Del Potro is attempting to qualify for the fifth time overall – and first time since 2013 – and join Nadal, Djokovic and Roger Federer at the season finale. Djokovic captured his 14th Grand Slam championship crown (tied third with Pete Sampras in the all-time list), and is now just three titles from second-placed Nadal (17), with his third US Open trophy. The 31-year-old, who was in 15th place in the ATP Race To London on 2 July, is now up to second and 1,035 points behind Nadal (7,480), ensuring a potential battle royale for the 2018 year-end No. 1 honour. The Belgian jumped five places to 12th in the battle for a spot at the season finale, following a run to the US Open fourth round (l. to Cilic). Last year’s runner-up in London (l. to Dimitrov) went 9-3 on the North American hard-court swing. The Canadian, a qualifier at the Nitto ATP Finals in 2014 and 2016, continued his return to top form by advancing to the fourth round in the Big Apple, beating Stan Wawrinka in the third round before falling to John Isner. He moved up four spots to 15th. The 21-year-old Croatian improved to 29-15 on the season after reaching the fourth round of a Grand Slam championship for the first time, losing to Del Potro. Novak Djokovic says a five-day hike in the mountains with his wife transformed a season that has brought back-to-back Grand Slam titles. The Serb added the US Open crown to his Wimbledon trophy with a 6-3 7-6 (7-4) 6-3 victory over Juan Martin del Potro. After a shock defeat by world number 72 Marco Cecchinato in the French Open quarter-finals in June, Djokovic went trekking and took stock on a peak. Sunday’s win at Flushing Meadows in New York meant Djokovic, 31, moved level with American great Pete Sampras’ tally of 14 Grand Slam titles, a feat he described as “truly incredible”. Only Roger Federer (20) and Rafael Nadal (17) have claimed more. Sampras won his titles, which included a then record seven Wimbledon triumphs, between 1990 and 2002. Sampras beat Australian Roy Emerson’s 33-year record of 13 titles by winning Wimbledon in 2000, and extended it by winning the 2002 US Open – the final tournament of his career. “I grew up playing and thinking that one day I’ll be able to do what he does,” former world number one Djokovic said. Federer broke Sampras’ record at Wimbledon in 2009, with Nadal also surpassing the American with victory at the 2017 French Open. Djokovic said he owes his own success to the rivalries which he has developed with 37-year-old Federer and 32-year-old Nadal over the past decade. Djokovic had dropped to 22nd in the world rankings earlier this year after needing surgery in January to fix a long-standing elbow injury, a problem which ruled him out of last year’s US Open. He also said he suffered personal issues in 2017, both key factors as he was unable to reach a semi-final in seven consecutive Grand Slams until his Wimbledon victory. He won in Cincinnati in August to become the first player to win all nine Masters 1000 tournaments on the ATP Tour. WTA chief executive Steve Simon said she had been shown a different level of tolerance over Saturday’s outbursts by the umpire than if she had been a man. A day after Osaka was left in tears during an awkward and toxic trophy presentation in which Williams urged booing to stop, there was more controversy in the women’s doubles. American CoCo Vandeweghe and Australian Ashleigh Barty said they were hustled off court shortly before the men’s final, unable to deliver a victory speech after receiving their trophy. Barty added they were rushed off because “the men needed to start”. “To be honest, I don’t think they [Djokovic and Del Potro] would have worried if they were 10 or 15 minutes delayed,” the Australian said. Belarusian two-time Grand Slam champion Victoria Azarenka said “it bothers” her that there is “too much of a grey area” in these rules.